Timefire LLC, an Arizona tech company, announces the most advanced virtual reality city arriving this year, called Hypatia. This immersive social environment will focus on providing rich cultural and educational experiences, while also offering an entertaining setting where collaboration and creativity are the currency. 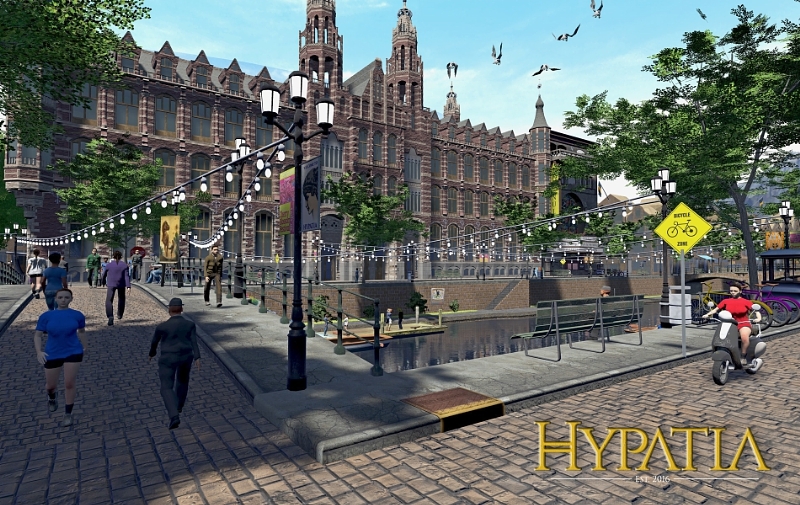 On the more than 70 miles of streets in Hypatia its citizens will stroll among the tree lined canals, be able to take in a play or attend a concert, visit a museum, paint using 2D and 3D tools, explore, shop, or kick back and read a holographic book from their virtual smart phone. 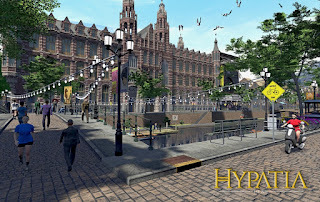 Hypatia aims to be a kind of next generation web browser using an old European city design to bring people together in virtual reality. This type of environment will allow people from around the globe to break down the barriers of geographic and economic isolation by bringing a wide variety of immersive experiences directly to them wherever they might be. Exploring this new frontier of gaming and information will become possible as the company begins offering early alpha access this summer 2016. Timefire will leverage a voice recognition system unique to VR to assist in browsing the Internet, finding locations, and communicating with the world. Funded during the summer of 2014 Timefire has been working hard to create an immersive and expansive world that would surpass the more typical brief experiences of current VR demos. Timefire is laying the foundation for an environment that invites visitors to get lost for hours in its city of the future.